Professor Dr Mo Keshtgar and his team at London’s Royal Free Hospital have embarked on a clinical trial involving women with newly diagnosed breast cancer and the treatment Photodynamic Therapy, or PDT. This non-invasive ’alternative cancer’ treatment was first considered a hundred years ago. However, it has grown into a treatment of potential because it is non-invasive and technology has advanced significantly in recent years. Over the last 25 years, several chemical agents, which locked onto cancer cells were used. These were then activated by light to release singlet oxygen which killed the cancer. Due to the limitations of the agents used, not all the cancer cells were treated and also some healthy cells were also locked onto and killed; and due to the limitations of using ordinary, enhanced light, the only tumours that could be treated tended to be superficial, like skin cancers. 1. The use of plant and animal based agents which are far more selective. Some can lock on to cancer cells throughout the body. 2. The use of new forms of energy like lasers and ultrasound. Lasers can tackle deeper cancers further inside the body; and ultrasound has the potential to kill all the cancer cells anywhere in the body. CANCERactive has been covering, indeed championing, PDT for almost ten years. But, although this work has been ‘of potential’ for a century, our stance has always been ’more research is needed because ultimately this treatment depends upon the quality of the agent used’. Readers can read far more on the subject by clicking HERE. The trial at Royal Free is aimed at determining ‘the truth about PDT’ although the real truth is this trial will only determine the truth about the particular agent and technique used rather than PDT’s potential. Royal Free are currently recruiting just 30 relevant patients, and the trial should take two years. There is an important caveat. The trial will involve women undergoing PDT treatment alone. Their progress will then be followed over several months (rather than years) and compared to patients treated conventionally. But. 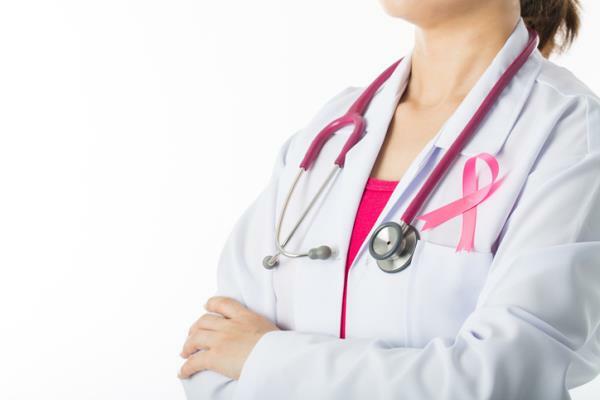 Because the trial must not allow patients to be put under and extra risk, they will subsequently be given a full mastectomy plus the usual radio- and chemotherapy. NICE has approved PDT as a treatment for four cancers: Skin (but not melanoma), cancers of the head and neck, lung cancer and oesophageal cancer. The team has also used nanocrystals to identify and treat cancer – a leading edge technique developed jointly with UCL’s Professor Alexander Seifalian. PDT is currently being used in various clinics in the UK. For example, Dr Keyvan Moghissi is the clinical director at the Yorkshire Laser Clinic and has over 20 years of treating patients, also being editor of the Journal ’Photodiagnosis and Photodynamic Therapy’, which covers PDT in some depth including regular reports on the latest research. Dr Julian Kenyon at the private Dove Clinic has used both light and ultrasound energy sources and several agents. The fact is that PDT is really in its infancy as a treatment, even though the Internet is full of research studies. There is no fully trialled, perfected agent as yet, and almost all work to date has been with solid tumours so cancers like leukaemia are not susceptible. But there is the potential there and one day, just maybe, PDT will be one of the non-invasive treatments available for breast and other solid cancers.